HUGE SAVINGS… Get yours before our stock runs out! We all know the importance of launch monitors. They provide vital information about your swing – ultimately the exact information you need to shoot lower scores and start winning today. Unfortunately, most reputable monitors cost upwards of $25,000 and require you to visit indoor facilities. For a fraction of the retail cost. 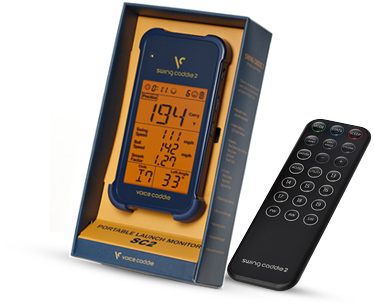 YES – a launch monitor you can carry in your golf bag… at a 28% discount! AND FREE SHIPPING! Technology that costs upwards of $25,000 that before only Tour Pros had regular access…in the palm of your hands. 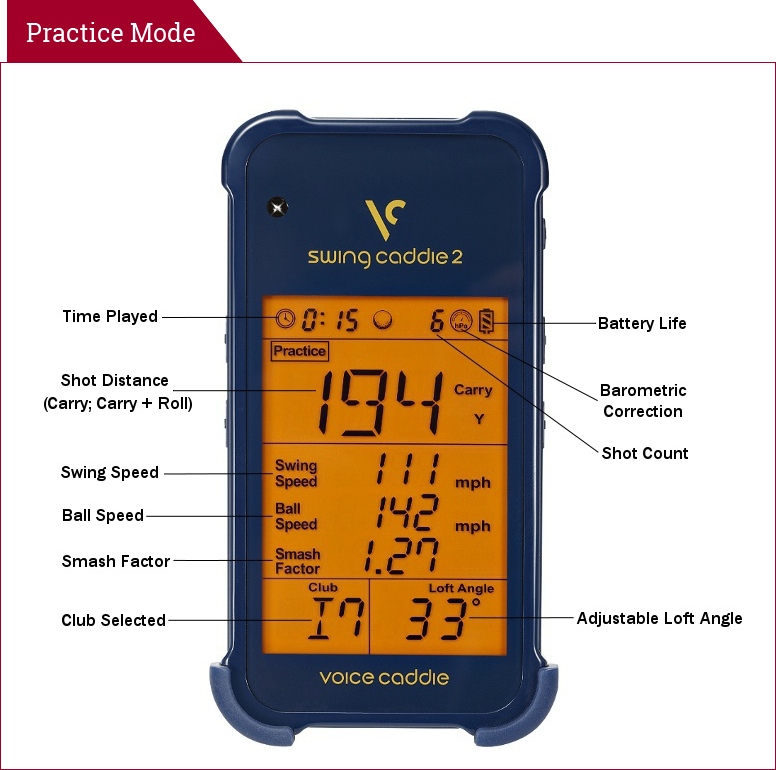 The Swing Caddie SC200 Doppler Based Portable Launch Monitor. 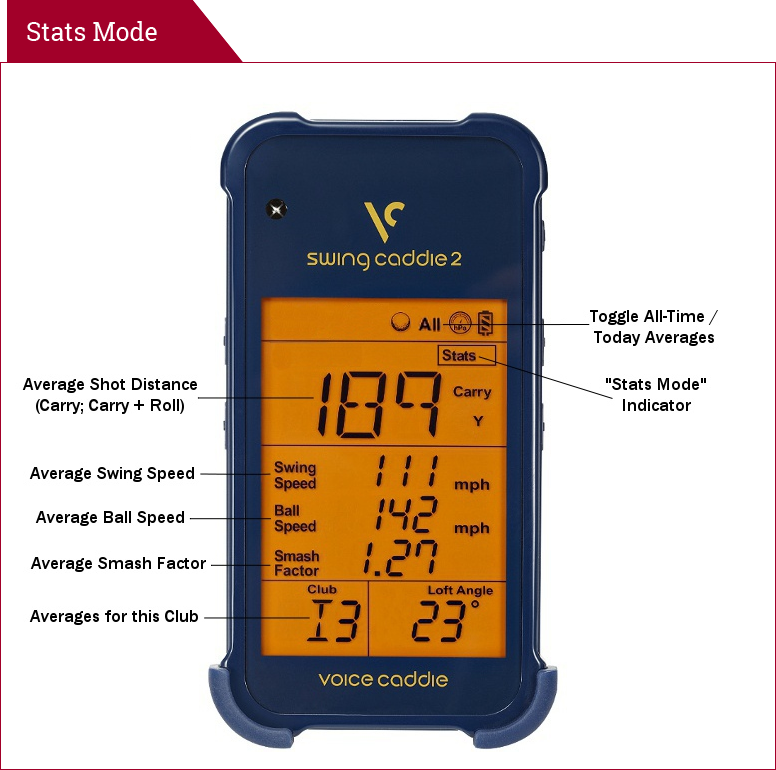 NOW, you have the benefits of a launch monitor without having to go to a fitter– Carry Distance, Swing Speed, Smash Factor – in a device that is both portable and affordable! Precise distances with each club and the ability to immediately analyze your swing and performance. When in Practice Sessions, you can work in Target mode where you can select a distance and aim consistently to match it. Or in the Approach mode, the Swing Caddie SC200 selects a random distance for you to achieve. This makes your practice fun as you try to achieve, and sets up a great challenge for you. Smash factor … the ratio of ball speed to swing speed. Total score – based on your success hitting the target. Also, you can track your progress by the Stats Mode, which gives you your average shot distances, swing speed, ball speed, smash factor, and averages for each club. Available to SOCAL Golfer Visitors Only. That’s right… We’ve secured the lowest price around for our SOCAL Golfer Visitors! “Too Good to Be True,” perhaps? Take 30 Days to Decide for Yourself! That’s right! If you’re not happy in any way with the Swing Caddie SC200, then simply return the package within 30 days for a full refund. 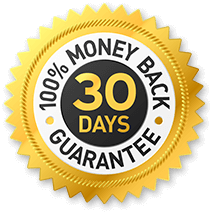 So you’ve got the best training tool in the world… and a 100% money-back guarantee. What more could you ask for? 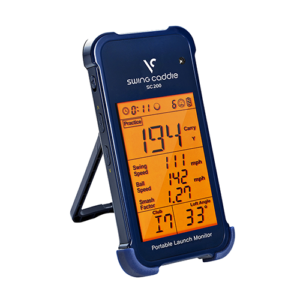 And right now, you can get this amazing portable launch monitor at the lowest price ever. Have had mine now for about 6 months and I love it. Great for before hitting balls before rounds and practicing at the range. Just got this about a month ago and it has worked great so far. I have used it both indoors and outdoors and had success with both. Great product! Subscribe to our email notification service to get our deals sent directly to your inbox as soon as we receive them! Save some green. Hit more greens! Place your order. You will receive your Voucher Code instantly. Remember to have your Voucher Code handy when you go to play. Present the Voucher Code at the clubhouse just as if it were cash and receive your St Mark Golf Club Twilight Card. Then tee off! Present the Voucher Code at the clubhouse just as if it were cash. Then tee off!